It’s been a real pleasure being involved in the sixth season of this wonderful Festival. This year, the Festival launched a children’s theatre programme, FeSTelón Kids, and Periferia Teatro was asked to open it. We were delighted by the experience, as was the audience. The Festival is an opportunity for Spanish theatre companies to showcase our work to a UK audience. The organisers are true lovers of the theatre and have put their hearts and souls into creating this opportunity. What struck us most about our experience was the warmth and friendliness of the people involved with the Festival, not to mention their attention to detail. We really appreciated having this opportunity and would like to congratulate the organisers, specially Mariví. Spanish institutions clearly need to provide financial support to ensure that Spanish culture can be more widely appreciated beyond Spain. However great the organisers’ hopes and dreams are, they can never be a substitute for institutional support. Projects such as this deserve to keep on growing. We were very lucky to be able to take part in Festelon’s 2018 season and it really was an unforgettable experience. It’s inspiring to work together with such dedicated people as Mariví and her team who love the theatre so much. They put a phenomenal effort into everything they do. It all worked like clockwork from the moment they picked us up at the airport to the time they dropped us off again. They were all very kind and showed great respect for our work. It all went wonderfully well. The theatre itself was cosy and comfortable, with all the technical equipment and the staff needed to ensure that the show would be flawless: lights, sound, surtitles – it all worked brilliantly. The best thing of all (and this is where Festelon, Mariví and her team have really triumphed) is the audience. The audience has been growing year after year and it’s fantastic. The audience is used to seeing good theatre and enjoys it – a receptive and appreciative audience. It’s wonderful. I can only say, thank you, thank you and thank you once again to everyone! Eternal and effusive thanks to the FESTELON team and especially to its founder, Mariví. Her confidence and interest in our show “A Secret Vengeance for a Secret Affront” has been the most wonderful gift we could have wished for, a dream come true and a recurring delight. FESTELON’s work is both heroic and laudable and we send our best wishes for next season. For Teatro Inverso, performing our show Rosaura in London has been a fantastic way to promote our work and enable it to reach an international audience, and to enable us to establish connections with other people working on other projects who we can collaborate with, build bridges or simply exchange ideas and feelings. We also received very good press reviews and opportunities to work with other institutions as a result of our invitation to Festelón. […] For all these reasons and many more we thank you sincerely for inviting us to participate in this heroic fifth season of Festelón, and we would like to come back very soon in order to carry on sharing and exchanging and having fun together. 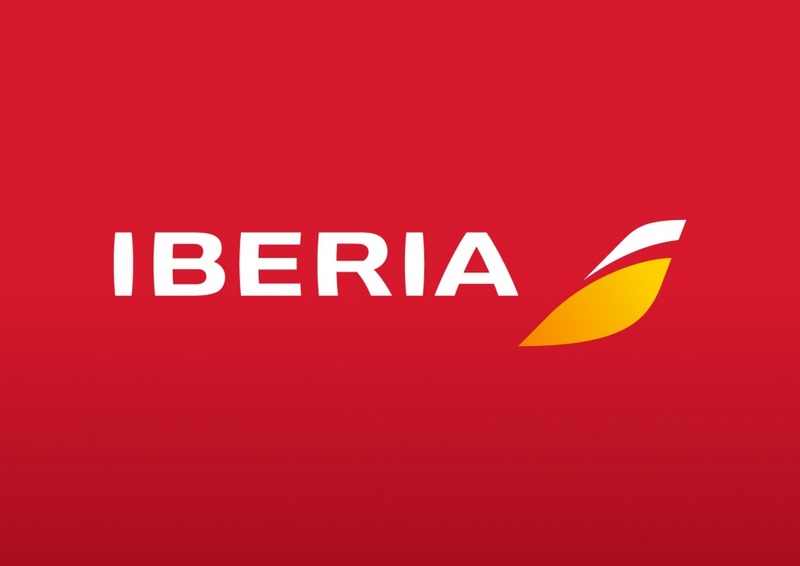 “I had a very pleasant experience, and not only because of the exceptional treatment I received, but also being able to see the wonderful reception theatre in Spanish has in the UK. FeSTeLõn is the result of tireless work and an enormous personal effort, but also the joining of forces with institutions…Therefore, it seemed to me that your participation as a member of the jury in the 7th International Almagro Off Competition, held this year in the 40th edition of the Almagro Festival, was a good way to create a fruitful relationship between the two festivals, already established in London and Almagro. Link to her conference here. “Through my involvement in this year’s FeSTeLõn, I learned that enthusiasm and will power can be capable of absolutely heroic achievements, and even more so when they are accompanied by talent. I know that I will never forget this experience and I can clearly state that I have been converted into a fervent admirer and advocate of this festival. Since then, I have spoken about FeSTeLõn with the greatest enthusiasm to every actor I have come across and I have recommended that they find out about it and get involved in it. I would like to congratulate Mariví Rodríguez Quiñones, the Festival Director, as well as her sizeable team of organizers, firstly for their efficiency and professionalism but above all because of the selfless nature of their work. 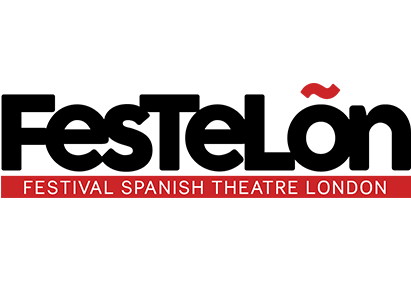 The fact that they are all volunteers makes this Festival even more valuable, if that is possible, since their only motivation is to bring theatre “made in Spain” to London, the capital of theatre par excellence. FeSTeLõn welcomes proposals and voices which would otherwise never reach London. It also promotes cultural exchange and coexistence and, consequently, the opportunity to share knowledge and experience. Who knows whether one day the bridge which FeSTeLõn currently represents might not become a permanent channel for cooperation between Spanish and British theatre companies? I would like to single out Mariví for particular praise. Through her own enthusiasm, she has managed to produce these first few seasons of the festival with barely any help from public funds, financing it herself and with the help of a small team of contributors, among whom I shall also include myself, starting with next year’s season. My greatest wish for FeSTeLõn is that it may enjoy a long life. I sincerely hope that those who are in a position to support initiatives such as this will also step up and make a contribution towards its consolidation and development. Link to his play here. Taking part in the Festival of Spanish Theatre of London (twice with ‘Heridas del Viento’ and ‘Arizona’) was a fabulous experience. It was an opportunity to present our work to the English public, and proved that theatre knows no borders, only emotions. Thank you to the Festival, run by the talented Mariví, for having us. I hope I’ll be able to come back in the future, and be a part of something that keeps on growing year on year and something that is already an international benchmark. Jair Souza-Ferreira, Producer of La Piedra Oscura. One of the dreams we have had whilst working in theatre is to work in a great theatrical city, such as London. Thanks to Mariví Rodríguez and the Festival of Spanish Theatre in London, we achieved this dream. The festival is now going into its sixth year and I hope it continues for many more. My time with FesTeLõn was a great experience, both professionally and personally. A festival that I hope to return to one day. Mariví Rodríguez Quiñones got in touch with me at the beginning of 2013 to offer my theatre company a gig. It wasn’t just any old gig. What she was offering us was nothing less than the foremost theatre scene in the world: London. Her idea, which we hadn’t previously heard about, was to set up a Festival of Spanish Theatre in the UK’s capital city, since she was convinced that there were many good plays in Spain which were worthy of being staged there. Our piece, El diccionario (The Dictionary), would serve as a pathfinder, in a first and by no means definite season of the festival, which might also have been the last. There was as much enthusiasm in that offer as inexperience in the art of theatrical management, but we accepted the challenge. The venue, a university theatre with a decent capacity, was located at London Bridge, an area full of life close to Shakespeare’s temple, the Globe Theatre. The structure of the Festival was still in its early stages and was somewhat precarious. They were still designing their logo as we negotiated with a local firm to hire some spotlights and as the Festival established contact with institutions and sponsors, who for this first season were few and far between (this being the time when the Spanish Embassy was the talking point among the diplomatic community in Belgravia, after hoisting the largest flag of any of the other embassies and perhaps the largest in the whole of London). We trudged round the city to arrange (and pay for) publicity, hand out leaflets and rummage around the store-rooms of the National Theatre, hunting for the scenery and props we needed for our production, which we’d been unable to bring over from Madrid because of the prohibitive transport costs. To sum it all up: it was a crazy proposition and we ended up being grateful for whatever we could scrounge after a huge amount of effort and wearing out several pairs of shoes tramping the streets of the capital. In return we chalked up a number of unique experiences to fuel some good dinner party anecdotes, as well as the enormous satisfaction derived from a job well done. The curtain was raised. To our surprise, people came to the theatre. And the troupe, comprising Vicky Peña, Helio Pedregal y Lander Iglesias, portrayed the ups and downs of María Moliner and her determination to write a dictionary. The magic worked. And, having taken the opportunity to go and see other plays during my previous visits to London, I proudly realised that our actors were just as impressive as stars such as Helen Mirren, who at that time was reigning supreme on the billboards for her performance in the play “The Audience”. And also that my play could stand up to many of its peers in London. This is something I am enormously proud of. That day, all these (mainly Spanish) institutions who had been somewhat stinting in their support as if we were dubious upstarts and whose crumbs we had accepted stoically, presented us as if we were the real McCoy and spoke about this project, driven by Mariví Rodríguez Quiñones, not as a one-off event but as a sine qua non. I still believe it is. In spite of Brexit, or even more so because of it. Our cultures, our countries, are closely linked; as with all families, there is the occasional misunderstanding and friction. That’s why we need rites of encounter and reconciliation, rites of discovery, and culture is one of those rites. You’ve heard it from the mouth of a humble man of the theatre whose only ambition is to produce the best work that he can. Finally, I would like to say a few words in recognition of the Festival director. I’m still amazed at Mariví’s tenacity. Through a great deal of personal effort she has created an enduring struture which should be cherished by Spain’s cultural instititutions. I don’t know what challenges the Festival currently faces, but I’m convinced that they will be met with the competence engendered by experience and without the slightest faltering of her enthusiasm and the faith she has in her vision. For me, she is the embodiment of a very Anglo-Saxon concept which I say over and over to myself during the course of the year: “Where there’s a will, there’s a way”. Long Live the Festival!